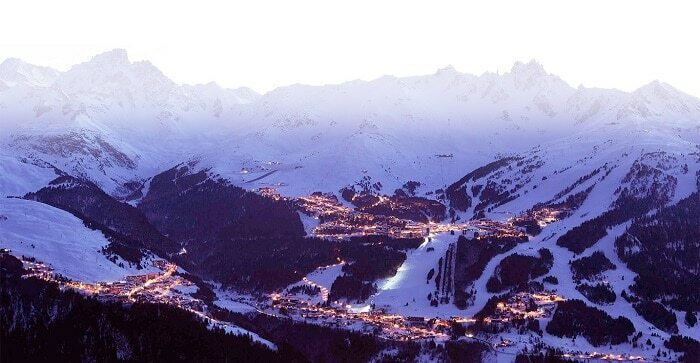 Conde Nast Traveler has listed their best ski resorts in Europe and Courchevel ranked in at second place. We were also pleased to see more of our favourite Alpine resorts on the list including Val d’Isère, Megeve, and Val Thorens. Rated by user reviews, the list is an all-encompassing roundup suiting many travellers including beginner, intermediate and experienced skiers, and those looking for resorts with the best nightlife and après-ski social scenes. Accommodating everyone from families to the jet-setting and artistic crowds of Europe, ski seasons wind down at the end of April / beginning of May, but until then visitors take pleasure in stunning scenery, a variety of graded ski slopes, quaint villages, tasty alpine cuisine, and traditional architecture. But what makes each resort stand out and what are the reasons for visiting? Coming in at an impressive 2nd place, Courchevel has for many years been home to the jet-setting and glitzy celebrity crowds of the world. Yet, while it is not the cheapest of places, four small villages that make up the large district all offer something diverse. 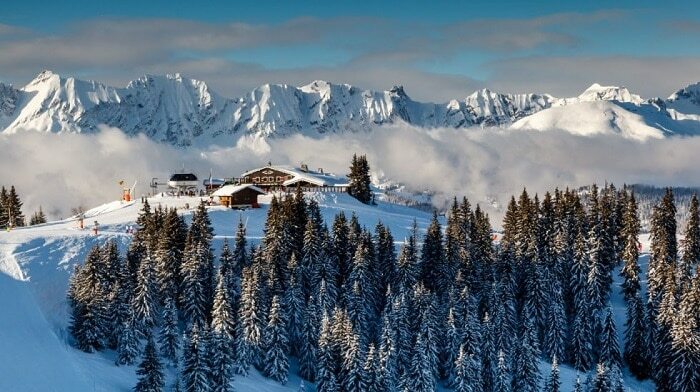 Reasons for its fame vary, but three things are inevitable when you visit Courchevel. First is guaranteed snowfall thanks to its high altitude, a second is an unrivalled shopping scene, and a third is one of the best dining scenes in France thanks to its seven Michelin star restaurants. Ranking third on the list, Val d’Isère is a resort to be reckoned with, for property buyers looking for a long-term investment. The area is going far out to promote itself as a summer destination, work has already taken place on upgrading ski lifts and gondolas while a multi-millionaire euro project is revolutionising the town centre. Val d’Isère is one of our favourite resorts and highly recommended for a visit. Conde Nast has long been a fan of Megeve, sitting in the Mont Blanc Massif. The ambience revolves around a cute blend of traditional design and modern trends while areas offer stunning landscape views 12 months of the year. Once again, it is another upmarket resort revolving around fine dining, boutique shops and an upscale social scene. Known for the horse ride carriage rides out of the town square, skiers can choose from three areas of varying grades, and a large variety of off-slope activities. We personally love Val Thorens and feel it deserves a higher position than tenth place because as the highest resort in Europe, snowfall is guaranteed and its altitude ensures a longer than usual ski season from November to May. Beginners skier will fit right in thanks to a choice of 600 kilometres of slopes, and offering decent food and après-ski social scene, the views of the three valleys are out of this world. For more ski news, property update and travel information, follow us on Facebook.